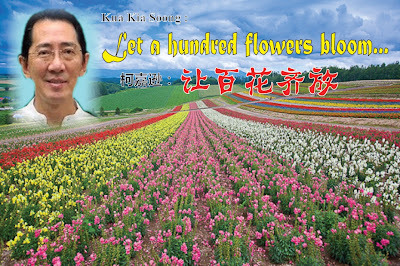 The controversy over "428 sit-in protest" and "Occupy Dataran "
“A single flower does not herald the arrival of spring; Only when a hundred flowers bloom will spring arrive”. 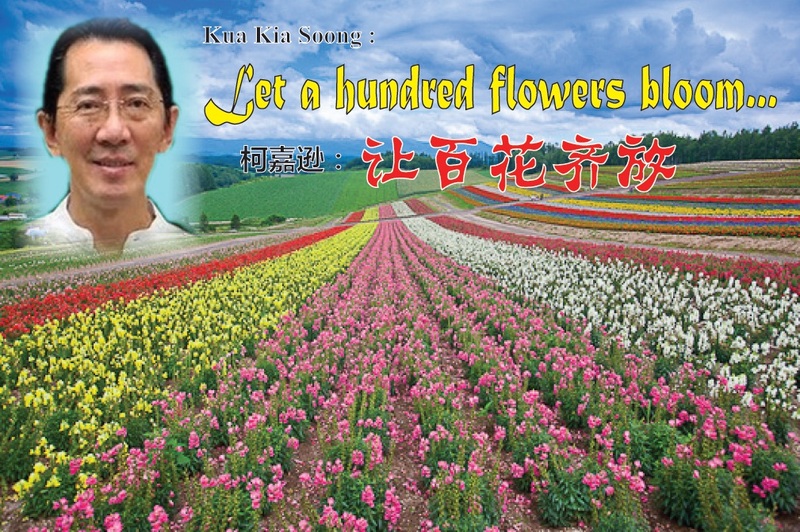 Dr Kua Kia Soong published an article “Let a hundred flowers bloom” to represent the stand he has taken on the press statement “428 sit-in protest – its implications and positive significance” issued by FOS Johor. Such stand taken by him will provoke deep thoughts. [Editor’s note]: This is the response via email by Dr Kua Kia Soong to the statement issued by FOS Johor. It also touches on the dispute raised and the thought evinced by S. Arutchelvan on the FOS statement. 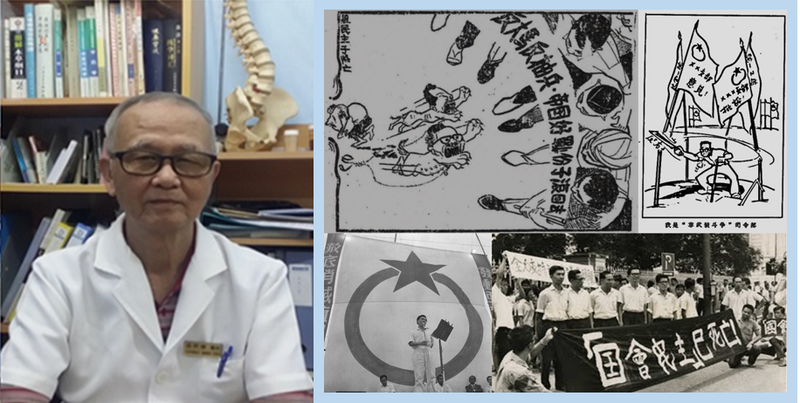 Dr Kua’s response amounts to his personal views on the matter. 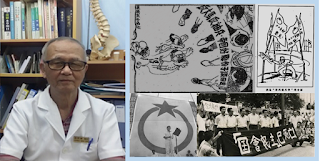 Dr Kua has given his consent to have the email published in our blog so that it will reach a larger section of the readers. 1. Aru (K.Arumugam - Editor's note) has said it's a good statement on the whole, the Bersih committee is not happy with the airing of a little dissension in the committee and then Arul (S.Arutchelvan - Editor's note) is upset for there is obvious criticism of "ultra-leftism". 2. Should such a statement carry the Suaram tag? Well, having lived thru my student days in the West and watched debates and crits among the many factions of the left there, this is pretty mild stuff. Having seen the average Suaram statements, this is certainly an attempt at an analytical view of this historical rally. We should welcome the attempt. We know that there was unhappiness among some of the people over the way the rally ended and we should expect this criticism. I was invited by the Occupy Dataran youth to speak a few days ago and I felt proud to be part of the movement. If I was 40 years younger, I might be part of the daily occupiers. But that is quite different from how many people felt the rally should have ended, ie. thinking of the responsibility for the thousands who turned out for a peaceful rally. But Arul has put his point across very well and mayhaps the friends in JB will appreciate a bit more what was actually happening in KL. So vive le difference! The second question is of course whether the statement should carry a "Suaram" tag. This is also a question for the JB friends to consider. I'm getting mixed messages about the structure of JB's FOS and the Suaram Sec there! Like I said earlier, we should first say that our branches have a degree of autonomy. As long as we are all for the defence of human rights, I think it's fine. Can we all have different analyses of social events and put these out in public like in the present case? That is for the Sec to discuss. Pekerja Asing : Suatu Ancaman atau Peluang?